There are times when you can’t always be around to make sure that your beloved pet is well fed, watered and has been to the toilet. For added security your house keys would be kept secure and not have obvious labels with personal information on. Our most trusted overnight pet sitters are available to provide care for your pets in the comfort of your home. If you want the very best for your pet then this service is for you. Your pet will receive expert care and attention. 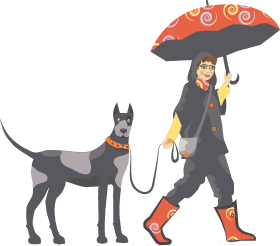 All of our overnight pet sitters are DBS police checked, canine first aid certified and covered by our insurance. They are experienced with many breeds and species of pet. They are all employees of the company, we do not subcontract work out.